Looking for a new bike computer as the Sony Ericsson Xperia active phones are failing and don't have enough memory, are slow, etc. Found the Hipipooo J5+ on Amazon. Not sure what the make is and not much information on the Internet about it. The phone ID says Alps 6580_we_a_l. It has a Mediatek MT6580M quad-core processor, 1G / 8G RAM running Android 5.1. I put a 32 G SD card in. I used the J5+ on a 3 hour ride (with screen brightness at minimum) and the battery still had 50% charge left. This is comparable to other Android phones I've used for CycleBike Smart. The phone has a water-tight case that protects the screen and micro-USB plug. It looks rugged. I mounted a Polar 1/4-turn plug on the back. The case unscrews for access to the battery, SIM and SD-card slots. With the Polar mount, the Hipipooo J5+ fits nicely on the stem. Recorded this GPS track with CycleBike Smart on a walk at Shoreline. The track looks very smooth, even tho' this phone only uses Navistar satellites, not Glonass satellites. 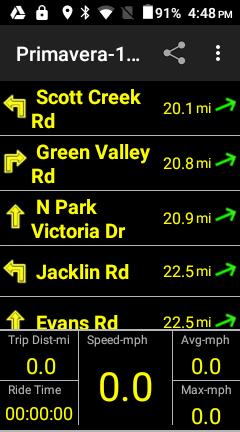 It also uses a-GPS with cell and WiFi signals, but this track was out of cell range. 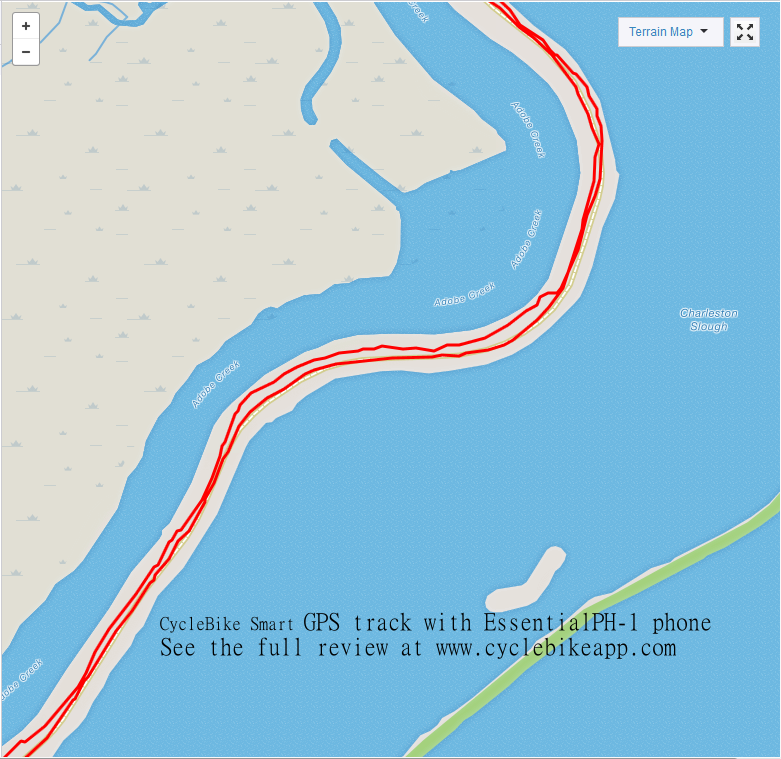 Recorded the same GPS track on an Essential PH-a Android phone with CycleBike Smart. This phone uses a-GPS and Glonass satellites, but the track is not any better than the Hipipooo J5+. The screen resolution is only 240x432, but CycleBike Smart is designed to use small screens. The keyboard is a challenge. You wouldn't want to type any e-mails or texts. All the Bluetooth functions of CycleBike Smart operate. The J5+ connects to Bluetooth heart-rate monitor, speed, cadence and bicycle power sensors.